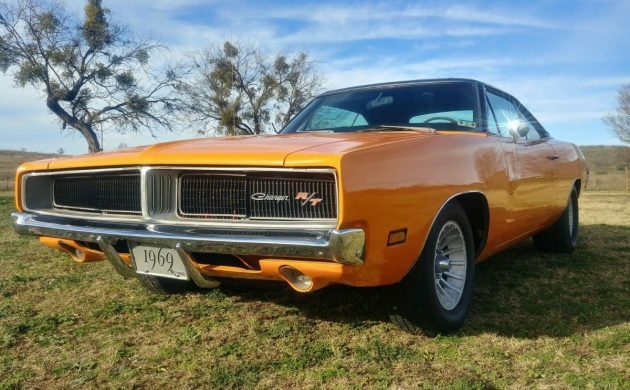 This listing is for a claimed low-mileage desert survivor of a 1960 Dodge Charger R/T. However, there are a few details about the car that make it not quite a survivor, from a color change to a non-matching motor. It’s unusual in that it’s a R/T car paired to an automatic transmission, a decision made by the first and longtime female owner. Some drama bubbled up in the listing here on eBay, with the seller offering a discount due to some rust discovered under the trunk mat. The opening bid is $35K with a Buy-It-Now of $38,000. Here’s the point of concern apparently raised in the first run of the listing and leading the seller to reduce the price: rust under the trunk mat which has a reputation for trapping moisture. 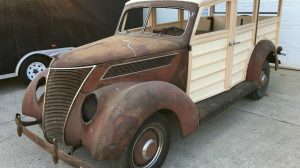 It sounds like this wasn’t disclosed at first, and auction watchers encouraged the seller to investigate the potential for rust underneath, which did indeed exist. The seller says it’s not rotted through and doesn’t feel weak, but that it should still be cut out and have new metal welded in. The Charger lived in California for almost all of its life before re-locating with the seller to Texas. 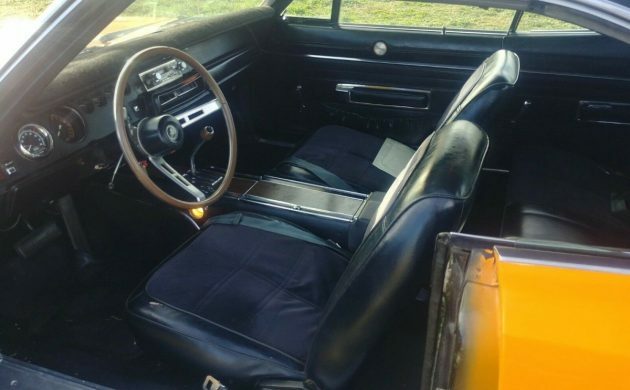 The interior looks quite nice, and despite the repaint and non-original motor, the seller claims almost everything else remains as it came from the factory. 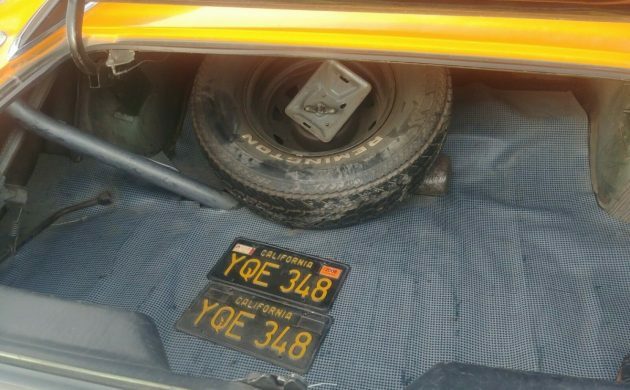 As far as validating the low mileage, the seller claims he barely used it and that paperwork from California shows the recorded mileage of 18,000 in the early 90s. While odometers can always be rolled over, California seems to be one of the strictest states in the country, so that offers some reassurances that it hasn’t been messed with. 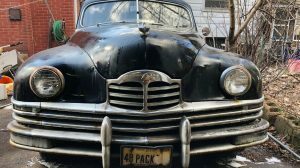 The seller notes the A/C components are attached to a correct 440 motor that is included in the sale, but there’s no climate control in the car at present. 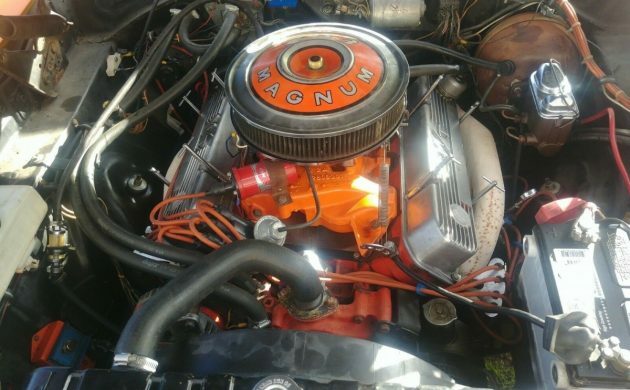 However, it doesn’t sound as if the 440 is the motor the car came with – just a generic 440 that is more correct than the 383 that’s currently installed. The seller says he was told the motor was bored out to 391, but has no means of verifying this claim other than the strong performance it provides. 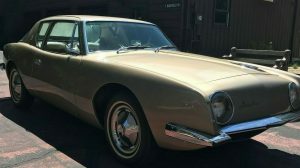 While I like the body of this car and the clean interior, there are many questions about the car’s history and a few too many changes for me to call it a survivor – but your opinion may differ. More to the point, would you enjoy as-is or restore it back to original condition? There’s a lot that needs to be looked at on this one—the paint is wrong and looks poorly applied (just check out the door jambs), the motor situation is confusing, and the mileage claim seems questionable. BUT…compared to that $33k base ’69 Charger that was here a couple days ago, this car is a freaking rock star. While I would seriously think about a restoration (at least to put it back to the correct green color), I like that this car is a driver and looks to be in overall solid condition. Drive it as is. In 1976 I traded a 1971 Fury 440 police interceptor and $600 for a 1969 R/T. It had a bench seat and column shift automatic. It was a copper color with a bumblebee stripe and matching vinyl top. That’s the lowest mileage Dukes of Hazard clone I’ve seen(without stickers or push/roll bars) Missing the original motor kind of negates the low mileage benefit. No way is this car a survivor. Unless the owner means it survived the Crusher? Horrible color change paint job,although I do like the color thar waa chosen. Too many issues for me. A paint color change and the wrong engine makes it nothing more than a nothing burgher. What is wrong with people? I hate to be so negative but come on….this was a generic run of the mill Charger…originally….it may even be less now. but really this is begging to be a general lee, I mean look at it!!!! Can you imagine driving around a “correct” General Lee in today’s climate, complete with Confederate Flag roof graphic? I’d do it with pride in a heartbeat! I don’t think the 440 that came with an R/T would have had A/C. 1 have a 69 charger R/T SE and it has A/C with the matching numbers440. Well, there you go! I know certain 440’s didn’t have A/C available. The SE trim package back then came with A/C, leather interior and a vinyl top. Any 440 could get A/C as a stand alone option. But if you wanted all the options you would order the SE package or pay more individually. According to Mark Worman, you couldn’t order A/C on a 440 with a 4 spd., nor could it be ordered on any 6 pack 440, or any Hemi. I just watched Graveyard Cars, where he is explaining this subject. But still these Chargers are in high demand lately, and the Dukes are planning a reunion!A good price for a Mopar and seems to be a half-way solid car with nice interior and that’s a big plus! YeeHaw! Yup, I remember these being $1500 bucks, but my father wouldn’t let me buy it because of the 440. I ended up with a 73 340 Road Runner. That I paid $1000 for. Barrett Jackson ruined it for the average person. Barrett Jackson ruined it for the average person? High performance and rare Mopars were getting pricey before Barrett Jackson. $38500 Sold for on Ebay. Something is really fishy about the relisting story. Since when do Mopar enthusiasts care about rust? Those who don’t have money, the time or the skill with metal working, etc. My 38 year old son can’t hang a picture properly. He has to call me, his dad. Go figure. Well, apparently, the metal skill impaired Mopar buyers are thinking that they can hire a kindly reality show star to quickly whip a rusted-out Mopar into shape, given the prices being paid for some of these rust buckets. Even the dealer’s offered body work on last year’s model that didn’t sell….still on the lot. They “rusted in place”. 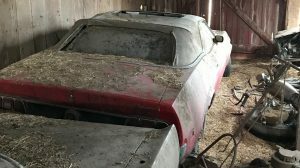 Yesterday I mentioned a ‘69Charger on Craigslist for $5000,no interior and looks like a solid project!